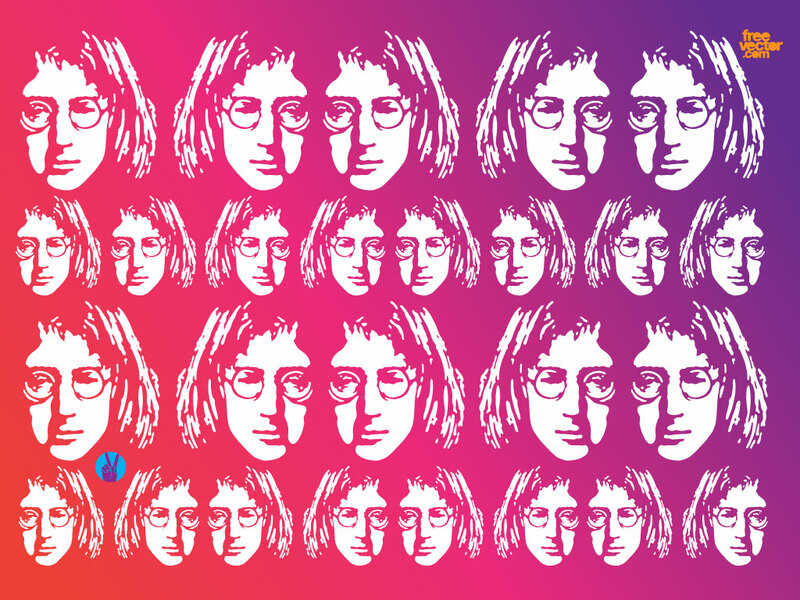 Free John Lennon vector illustration in repetitive pop art style. John Lennon was an artist, singer, song writer and a symbol for peace and the hippie movement. Download this pattern of the iconic Beatles front man for your music, blues, pop, rock, revolution, protest and peace design themes. Tags: Artist, Hippie, Iconic, Imagine, John Lennon, Music, Peace, The Beatles.